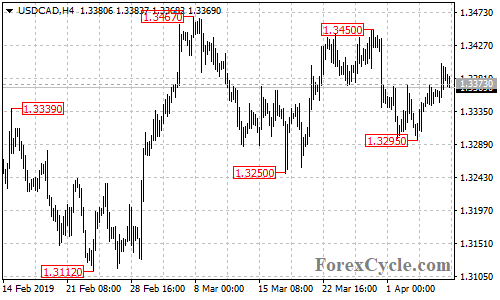 USDCAD broke above 1.3373 resistance, suggesting that the downside movement from 1.3450 had completed at 1.3295 already. Further rally is still possible in the coming days and next target would be at 1.3430 area. Support is at 1.3345, only a breakdown below this level could trigger another fall towards 1.3250.